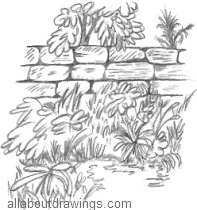 Looking For Easy Drawings To Copy? You'll find heaps of simple pencil drawings here that provide a great resource when you're teaching yourself how to draw. 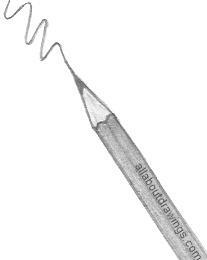 I hope to encourage you to explore art by starting with the simplest medium of pencil. If you're looking for a new hobby and art is not a consideration because you don't believe you have any talent, well, that's a real shame because it's very possible to teach yourself to draw -- hey, I am living proof! You really must try it otherwise you will miss out on one of the best forms of entertainment. Regrettably, for most of my life, I believed I didn't possess that special creative gift even though it was something I really wanted to do. I didn't have a single clue where to begin but I did know that I wanted to do it my way - without being judged or left feeling incompetent. Is that how you feel, too? All I did was start drawing things that I thought I could successfully copy without becoming discouraged. If you choose really simple topics, that gives you the impetus to keep going. Don't be afraid to copy, that's what art is! It's all copied, whether it be from existing artwork or real life, we just use our own interpretation on how we see things. The trick is to portray what you see, not what you think you know. There are many successful self-taught artists around and it's not too late for you to be one. Don't delay because now is a really good time to start. Remember that everything you do must make you happy otherwise there's no point in doing it. So, if you illustrate things that appeal to you, you will enjoy the process so much more. Put the current date on your work so you can see how much improvement you have made over a period of time. The self-satisfaction you get from that is more encouragement to continue. Does your passion lie in the simplicity of sketching? I created this duck drawing when I was a beginner and it was that good feeling of achievement that prompted me to keep going. I'm happy to say I've improved a lot since then! C'mon, you can do this too, just as surely as you can sign your name. You're welcome to join me as I continue to learn and I'd really love your company! 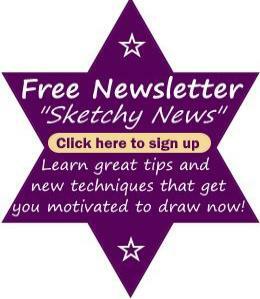 I share all relevant information here for you to become a great hobby artist. You can use this peaceful pastime as a form of meditation because while you are sketching, your mind is at rest - no chatter going on in your head, just beautiful silence. Copy your favorite images by holding your pen lightly and visualizing how the lines appear on paper before you start. It's a marvellous feeling to gaze at something that you created. I firmly believe in the power of the mind so if you resolve to be successful, you will be able to produce some very good images. Be amazed by how good you become in a short time. If you have the desire, don't keep wishing you could draw, start doing! You'll be surprised how fast you pick it up and you'll regret not starting sooner. The more you practice the more progress you'll make - the key is repetition and learning from your mistakes. It really depends on what you want so you ultimately decide which way to construct your drawings. There are many options at your disposal with absolutely no pressure to perform. Just browse around and notice if you feel prompted to copy a particular scene or object -- be advised, that's your intuition nudging you! Are you ready to have a go? Pick your favorite category (top left) to find more links for that particular topic. Otherwise, click here to see the whole site at a glance. I love your website, it is so personal and friendly. Keep up the good work, thank you. You can copy any image on this website for your own personal use. I copied and learned from past artists so I'm just forwarding their generosity on to the next person. If you need to copy my drawings for Charity or Fund Raising purposes, you are most welcome to do so.